Reborn artist: The Twisted Beanstalk. If you are into reborns, but want something that isn’t a conventional baby, the person you have to go to is The Twisted Beanstalk. With her very vivid and unending imagination, The Twisted Beanstalk truly is an amazing artist. Her love for the work she does is hard to resist, making every baby she makes as special and unique as she is. There would never, could never be another artist that is quite the same as this. The Twisted Beanstalk is crazy and wild and that is meant in the best way in every possible way. The flare that is shown for the unusual and rare is all in her work. Plus as much glitter as you could want. Because after all the world is better when it is shiny and you can never really have too much glitter. 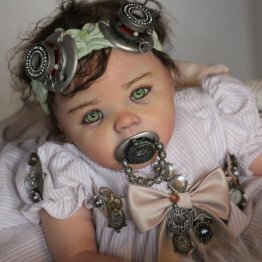 I honestly think that she gets as much enjoyment from imagining new and creative ways to turn normal reborn kits into fantasy babies as she does actually painting and bringing the babies to life. Or afterlife in some cases. I can not explain how much I really love this ladies work. 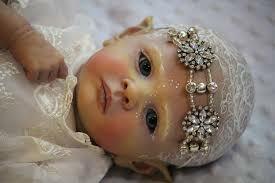 How stunning and unique each baby is. 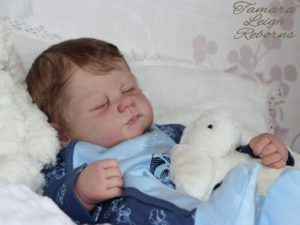 The fantasy aspect to it is really a fantastic twist on the reborns. 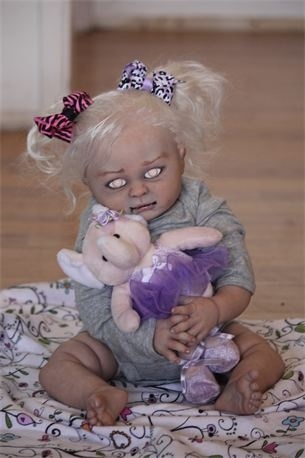 I look forward to seeing each new baby she brings out and the “Hello World” baby, I mean seriously what a baby! How did she ever do that? 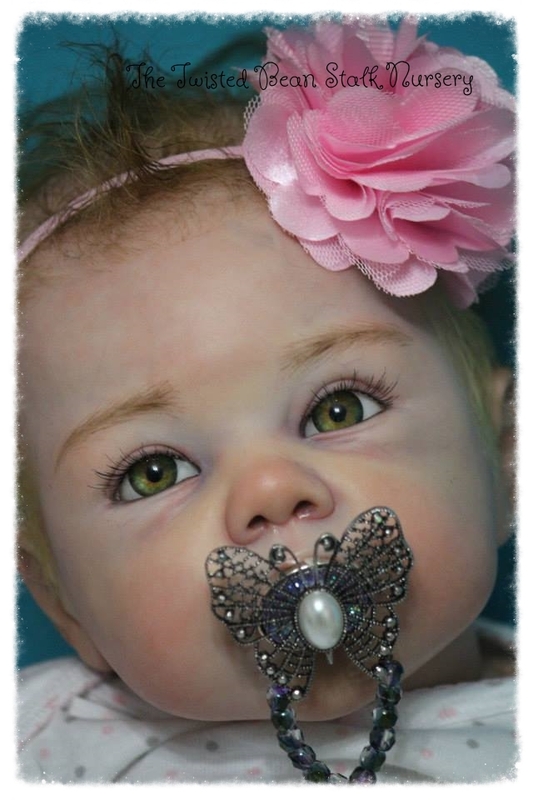 Can you imagine the hours and hours of hard work that would have gone into that one baby. The result was nothing less than spectacular. I aim to one day be lucky enough to be able to own one of her babies. 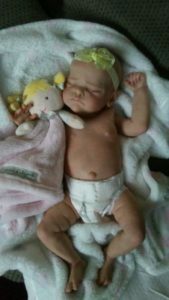 Her website is amazing and features everything you would want to know including current babies up for adoption. Make sure to check out The Twisted Beanstalk nursery using the link below. Ever since I was a little girl, I loved to draw and create whatever I could. But then in 2010, I stumbled upon the concept of reborn’s. Right away, I saw the opportunity to sell these “paintings” all over the world. I was amazed – to say the least – at how real some people could make their “dolls” appear! After realizing there weren’t any out there, I decided to just make one myself! That’s where it all began. 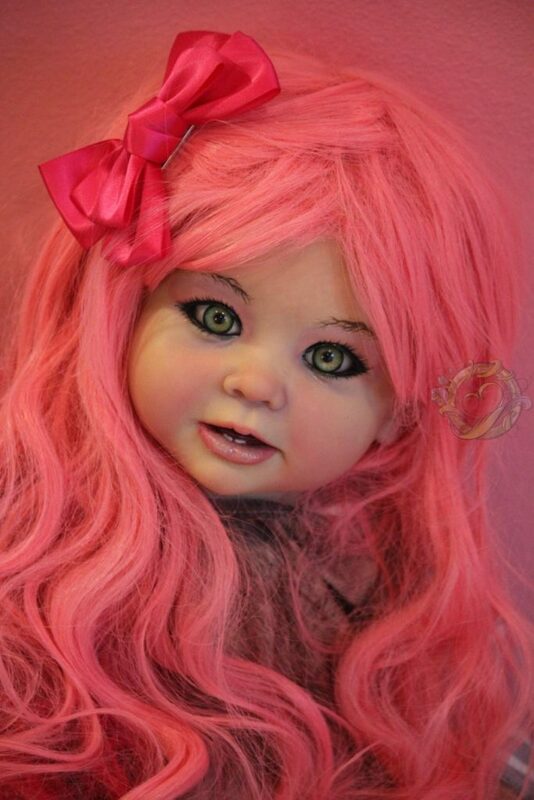 After the first doll I made sold quickly on eBay, I was completely ready to dive in. 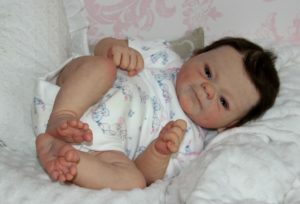 It’s been over a year now and I still can’t stop making my adorable little creepy monster babies! But I really don’t stop there, I have made pretty babies, punk toddlers, vampires and zombies – I love all of them just the same! I feel so blessed to be creating a gift which leaves so many people smiling! If that isn’t enough for you and you want to know more about this super talented artist, well then I am happy to help. Who is she as a person? Well this is what she thinks. Someone who would give you a good laugh for blurting out random things that most of the time don’t make any sense at all, kind and loving, giving and caring. A bright colorful social butterfly who definitely doesn’t get out enough, maybe a little socially slllowww (hey I told you I say random things). Very ditsy but doesn’t realize it most of the time that’s why I’m always a great laugh. very bright personality and just bright in general with a sleeve of colorful tattoos and magenta pink hair. Very sarcastic, my glass is always full not always empty, always going going going going and doing doing doing something (not OCD) I promise. So yeah that’s me! and Iam just getting started! So watch out Reborn world here I come. The Twisted Beanstalk does have a Youtube channel, which you can get to using the link below. I’m subscribed, are you yet? So how much will one of these master creation babies cost? Well the starting price for one is $950. To be honest this is the one that I really really want to get. So at some poing soon Bean I shall be coming to you to see about making me one. To sum it up, doesn’t matter if you think you are a fantasy baby collector or not, you will find something truely amazing at The Twisted Beanstalk nursery. Some baby is guaranteed to steal your heart. And get your own Twisted baby.